With K&H Home Solutions you can be assured that your home remodeling project will be enjoyable throughout the entire process. That includes our thorough roofing construction process. If you’re in the market for a new roof, due to age or weather-related damage, K&H Home Solutions has the experienced workers, reputation, and trusted workmanship you can rely on to ensure your new roof is installed perfectly. Through years of experience and their passion for excellence, the team of professionals at K&H has developed an exclusive home remodeling process that strive to deliver a rewarding experience for their customers. Many homeowners have come to expect the nightmare roofing project that is so prevalent in today’s market place. We work hard to change that. By choosing K&H Home Solutions as your contractor you have made the first step in joining our family of thousands of happy customers. The first step is to tear out your old roof. If you’re at home during this process, we realize it’s going to disturb your daily routine. That’s why we strive to be quick and efficient. We also protect your home and surroundings from falling debris to ensure nothing gets damaged by our presence. Our roofing team has years of expertise ad the best equipment to ensure we do the job right. We use only top-of-the-line roofing materials to ensure your new roof protects your home from harsh weather conditions for decades to come. If you are contemplating whether it’s time to replace your roof, give us a call and we’ll walk you through all of the particulars and determine if a new roof is right for you. If you’ve got an insurance claim, we can work directly with your insurance company to make the process as smooth as possible for you. Here are some helpful tips to make a worry-free process. If we are installing a roof you’ll need to invest a little time to safeguard your home. There will be vibrations moving through your home as the roof structure is removed and nailed back into place. Vibrations can move items sitting on shelves or fastened to walls and ceiling. Remove items from the walls, including pictures, wall hangings and any fragile decorations. Remove delicate, breakable and/or valuable items from shelves. Tighten and secure light fixtures, globes and decorations that are hanging from the ceilings or walls. Move potted plants away from work areas and protect them from falling debris. Keep small children & pets inside or away from the work area at all times. If possible, remove all vehicles from the garage, keep them off the driveway & away from the house. 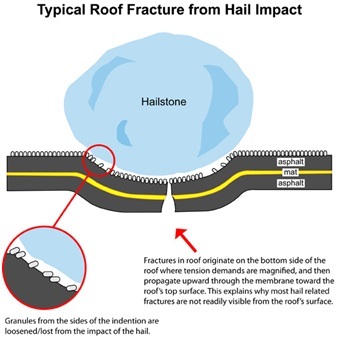 Falling debris may damage or scratch them. Staging Area: Typically we will be using your driveway as a staging area for our product and materials. Supply trucks will be dropping materials to be stored on your roof. Our debris trailer will be parked on your driveway during the time we are removing your old roof. Disarm all alarms and security systems. The nailing vibration has been known to set them off. Cover any items stored in the attic. Remove any items that may cause a tripping hazard to workers. The crew will need access to an electric and water source. This is a construction area. During the removal and replacement of your roof there will temporarily be nails and other roofing material around your home. PLEASE be cautious! To avoid tire damage please do not drive your car anywhere near the work site. When entering or leaving please exercise caution. Construction material may fall from the roof. Please be sure all gates are closed before you let your pets out. Our work crews will do their best to keep them closed but its best to make sure. We will clean up your property when we finish installing your roof. Thousands of nails and fasteners came off of your roof. We may miss a few so please be cautious. K&H Home Solutions will always practice “safety First” and has an outstanding record but mishaps can happen. If you encounter any problems during construction please feel free to immediately contact our office or your K&H Roofing Specialist. You Are Our First Priority! Call us today to discuss your roofing project. I was so pleased with the crews for the windows & siding. "(They) are great guys and I would highly recommend them again!"